This is the 22 Day of the 40 Day Prayer Journey. Have you been consistently joining us? Please read and meditate upon the scriptures and pray the prayer points. Press in to answer the questions and do what is suggested so that you may grow and rise spiritually to walk like and talk like Jesus. 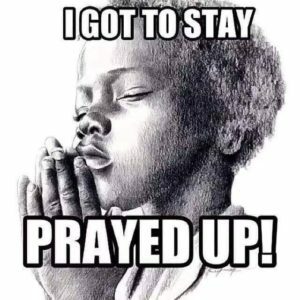 • Pray for God’s healing touch to be upon the sick in the community. • Ask God to give you the wisdom and will to increase your faith and to walk by faith . 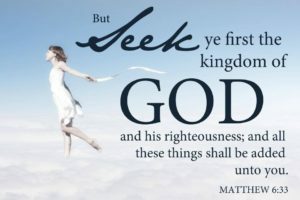 • For God to rise up men and women of integrity, faith and love to places of spiritual and natural authority throughout the church and the city. Giving: Are you giving a portion of your income to God? In what area is God challenging you regarding your giving at this time? Be honest and state how you need to rise up to in your giving and how you plan to improve upon the same. • Pray that congregations over the city would grow in the unity of the Spirit, love, peace, and purpose so that the world might see the power of God manifested when the church comes together in the love of Christ. • Pray that all divisions, dissension and disagreements that keep the churches from walking together as the body of Christ cease and that forgiveness occurs. • Pray for forgiveness where the body of Christ has failed to walk together and that by the power of the Holy Ghost that the body of Christ will be enabled and empowered to walk in the unity of the Spirit and in the bond of peace. Prayerwalk or Drive by Prayer: Select an area or street that you can walk down and pray for the area as you walk. Pray about the street, its safety, the souls in the homes etc. As you drive a street or neighborhood pray for that street. • Pray for every member of the body of Christ to discover his/her place and come into proper relationship with the other members within Messiah and in other congregations. • Pray that family members and friends will be a source of joy and blessing to each. Make a list of the spiritual blessings God has given you. Linda Fegins, “The Prayer Leader” serves as prayer leader and teacher/trainer on the “Prayer Boot Camp” with the Global Missions Prayer Force and as a guest intercessor and volunteer for Girlfriends Pray a global prayer ministry. She served as Prayer Coordinator for over 13 years( later Director over the Prayer Ministry) for the Lydia Circle Christian Business and Professional Women. As part of the Lydia Circle she has lead over a dozen prayer boot camps, and has lead prayer services and workshops in the Bahamas and in South Africa and was on the prayer team of a medical missions trips to Jamaica under the leadership of Rev. Jackie McCullough. Sheserves as the Prayer Leader of the Intercessory Prayer Ministry of her church. As mentioned yesterday on Day 1 of Lent, pursuing God during the Lenten Season in a 40 Day Prayer Journey by Grace for Life Transformation involves fasting and praying and a word we don’t like “repentance. It is His design for healing and restoration, so we cannot view it as optional during this journey. 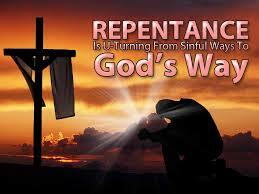 See Day 1 Repentance and the Lenten Season to see what repentance means. https://ladyofprayer.com/repentance-os/ . I shared that repentance means to change your mind and to be determined not to do the sin again. It means to turn and walk the other way from sinful acts and thoughts. Even if it’s uncomfortable, even painful, if we are honest, continue to take the time to reflect and examine our lives and see how we measure up to His standard of repentance. You may even need to just meditate on and review the scriptures from yesterday posted in the above article. Did you write your prayer of repentance yesterday? Did you take time to be honest before the Lord about your life, your relationship with God through Jesus Christ and your prayer life? Did you confess your sin and ask him to forgive you? Ask Him to teach you to pray. Ask God to give you strength and discipline to increase your prayer life, to deepen your relationship and friendship with God to enable you to rise in the spiritual things of God. Sit still before the Lord and listen. Let the Lord know you are listening and you are sincerely seeking His face. Psalm 42: 1-2. Meditate on these scriptures for Day 2 and Day 3 of the 40 Day Prayer Journey until Resurrection Sunday. Reflect: On repentance, what you want to release in your life and on what steps you need to take to improve your prayer life and to deepen your relationship with God. • Pray that the message of repentance will penetrate your heart and the members of your church, your community and the world. • Pray that leaders will walk in true humility and a deep reverence for the Lord. • Pray for the President of the United States, President Obama and his family. Pray what the Holy Spirit leads you to pray. Receive: Forgiveness and ask for a sincere and diligent heart to know the Lord, to see His face and to walk like Jesus. 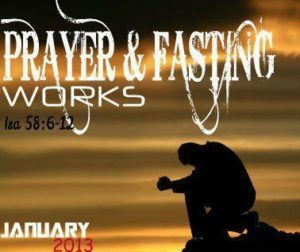 • For a deeper prayer relationship with Christ through prayer. • Pray for your enemies and ask God to release you from any unforgiveness. • Confess any sin that the Spirit brings to your attention. • Thank God for His mercy and grace through repentance. • Ask God to give you a fresh understanding of His character and His holiness. • Pray for the community and your city to turn from wicked ways and to seek the Lord.